Home Bible Studies About Marriage What Is The Best Bible For A Teenage Girl? The Life Application Study Bible has been around for several years and it has provided down to earth Biblical answers to life’s most basic questions. When I saw that this format was expanded to include a special edition, called the Teen Life Application Study Bible, I was delighted. Though not just for teenage girls, it is my choice because I believe it to be the most thorough in addressing issues in any teen’s life. This edition features the clear and understandable New Living Translation. What are the main considerations should you be aware of before choosing the Teen Life Application Study Bible for a teenage girl? It is written in the vernacular that the teenage girl can relate to. It draws her into the action of the scriptures. It goes on to list some history makers that the teen would most likely know about such as Martin Luther King, Jr., Napoleon, Albert Einstein, Gengis Kahn, Henry Ford, Steve Jobs, etc. The tie in with well-known people will draw in the teenage reader and make her feel that she is a part of the story. See for yourself (personal) how Jesus turned ancient Israel on its ear. First, the New Living translation is so very modern and easy to understand. It will open the understanding of the teen mind. It reads in a way that she can relate the Word of God to her own life. The study guides really speak to the teen mind. They draw the teen reader in by comparing contemporary things that they most likely know to the incidents and personalities in scripture. They do not insult the intelligence of the teen, but rather, they give occasion for her to think and make comparisons to the things and people in her life. The NLT is very easy to read and understand. The study guides draw the teen reader in by comparing contemporary things that they most likely know to the incidents and personalities in scripture. The study guides are not written from a Spirit-filled perspective. It gives the teenage girl no instruction regarding the authority that Jesus gave her over all evil spirits and over all the power of the enemy. She won’t learn about the angels who are the ministering spirits to the heirs of salvation. The spiritual gifts are not explained as gifts that she can ask for and use in her daily life. 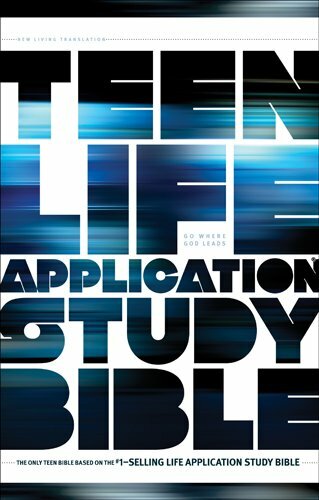 It is the only teen Bible based on today’s #1-selling study Bible, the Life Application Study Bible. The Teen Life Application Study Bible (formerly the Student’s Life Application Study Bible) is packed with features designed to meet the challenges and needs of today’s high school students. focused on choices, real-life issues, and real-life stories of actual teens, the Teen Life Application Study Biblestands apart in the crowded world of teen Bibles. 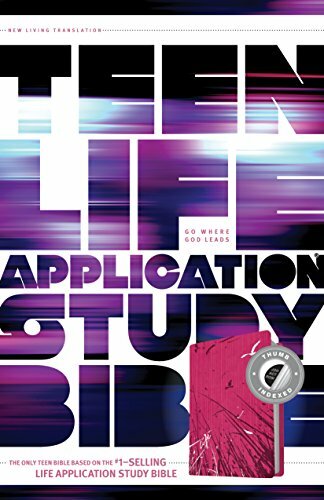 When it’s all said and done, the Teen Life Application Study Bible is the one I have chosen as the best Bible for your teenage girl. It hits all the basics and she can learn of the Spirit-filled life elsewhere. The name says it: It is all about application of the Word of God to her daily life with all its issues and modern-day complications. She will relate to it in a personal way as she understands the scriptures as they relate to her own 21st century life. It just makes sense! Previous articleWhat Is The Best Bible For A 9 Year Old? Next articleWhat Is The Best Bible For A 7-Year-Old?